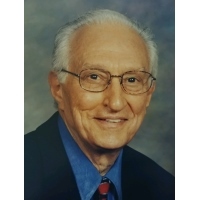 Dr. Anthony Vincent Adornetto (also known as “Tony or “Doc”), 89 of Zanesville, died peacefully surrounded by family at 8:08 P.M. Saturday, March 16 at Brookdale Senior Living, following an extended illness. Tony, the son of Joseph Phillip and Catherine J. (nee’ Maniscalco) Adornetto, was born November 28, 1929, in Zanesville, Ohio. Tony married Karen Elizabeth (nee’ Turner) on July 10, 1964. In addition to his wife Karen, Tony is survived by his brother, James “Jimmy” L. Adornetto of Zanesville, and his three children: Philip (Jennifer) Adornetto of Columbus, Ellen (Mark Willhite) Adornetto of Pickerington, and Anthony (Tara) Adornetto of Zanesville. He is also survived by 9 loving grandchildren who consistently made him laugh: Turner, Bella, Olivia, Sophia, Ava, Joey, Lili, Marco and Anthony. In addition to his parents, Tony was preceded in death by his daughter, Elizabeth C. Adornetto and his brother, Alfred P. Adornetto. Tony was a 1948 graduate of St. Thomas Aquinas High School. He served overseas in the United States Air Force during the Korean Conflict. Tony attended both The Ohio State University and The Los Angeles College of Optometry obtaining degrees in Political Science and Physiological Optics. He received his Doctorate from the Los Angeles College of Optometry and was a member of the Omega Delta professional fraternity. For over 40 years, tens of thousands of individuals, young and old, received a superior eye examination from Dr. Adornetto. His patients left their appointments feeling special, mainly because he was genuinely interested in their lives, not just in their vision. Doc went to work every day to serve, catch up with friends, meet new residents, teach, help, learn, and have fun. This was his labor of love. He enjoyed attending continuing education seminars and meeting young professionals to learn about new technology and processes in optometry. His humility and love for learning made him a top performer in his field. Tony loved to stay in shape and play sports. He played basketball and baseball from a young age, and continued playing baseball in the Air Force. He was a varsity letterman on The Ohio State University’s ’55-’56 baseball team. After college, Tony continued to play baseball for the Zanesville Senior Pioneers, and basketball in the YMCA city league (Tony’s All Stars). Eventually, he fell in love with the game of tennis and played it religiously for 30+ years. Tony was also an avid weight lifter. He saw it as a way to compete at a higher level in all sports, and to stay refreshed at work. Dr. Adornetto was devoted to various communities. He was an active member of St. Thomas Aquinas Catholic Church; he belonged to the Knights of Columbus, VFW, and the American Legion. He was a life member of the OSU Alumni Association, and a member of Varsity O. He was elected into the Muskingum County Old Timer’s Hall of Fame. Over the years, Dr. Adornetto sponsored youth sports and gave to multiple charities. He enjoyed visiting with friends over a cup of coffee, a bowl of soup, or a cold beer. He loved taking his wife, Karen out to dinner. Above all, he was a dedicated servant to his wife, his children, extended family, and friends in both the Optometry community and the town he called home, Zanesville. The Adornetto family would like to extend a special thanks to Candie with Home Instead and to the people at Brookdale Senior Care for making Tony a part of their family during his two year stay, and most notably for their superior care in his final weeks. Visitation will be held at the Bryan and Hardwick Funeral Home on Thursday, March 21, 2019 from 2:00 to 4:00 PM and 6:00 to 8:00 PM, with the Christian Vigil at 7:45 PM. Funeral mass will be held at 10:00 AM on Friday, March 22, 2019, at the St. Thomas Aquinas Catholic Church with Fr. Thomas Kamau as celebrant. Burial with military honors will conclude at the Mt. Calvary Cemetery. In lieu of flowers, memorial contributions can be made to the St. Thomas Catholic Church, Muskingum County, or Central Ohio Alzheimer's Association. In keeping with Tony’s persona, his family would also like to suggest that everyone take time to visit someone in an Assisted Living Center, or someone who might be lonely or in need of a friend. The Bryan & Hardwick Funeral Home located at 2318 Maple Ave. in Zanesville is in charge of the arrangements. To share memories and condolences with Dr. Anthony’s family, please visit www.BryanHardwickFH.com.